Peach Tree Park is a stunner in south Wichita. 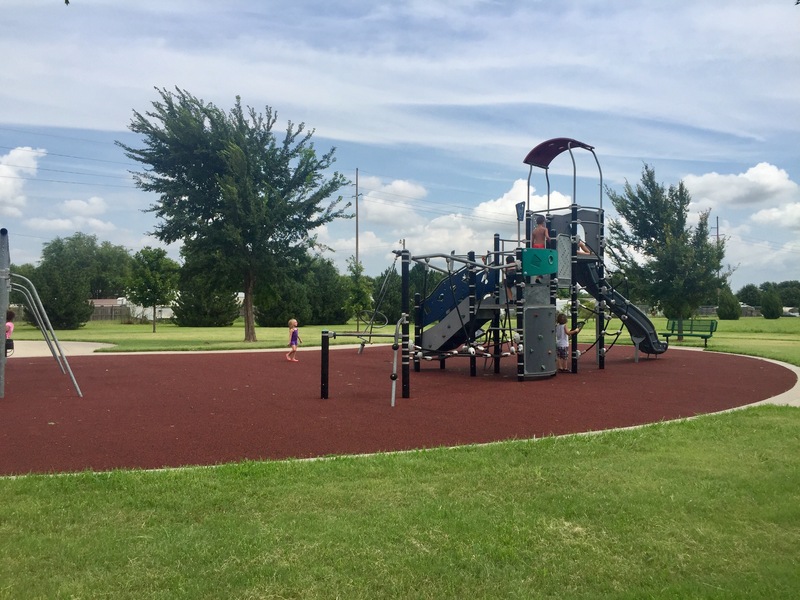 It’s located on Hydraulic near 55th Street South. Weston noticed right away the playground was the same as the park he loved so much at 25th and Piatt. 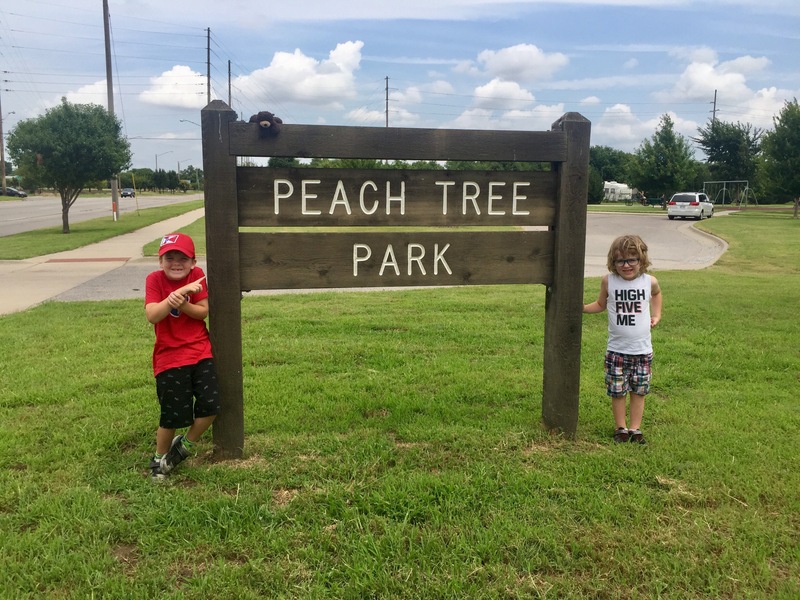 We spoke to a gentleman who brings his grandchildren to Peachtree in the afternoons. 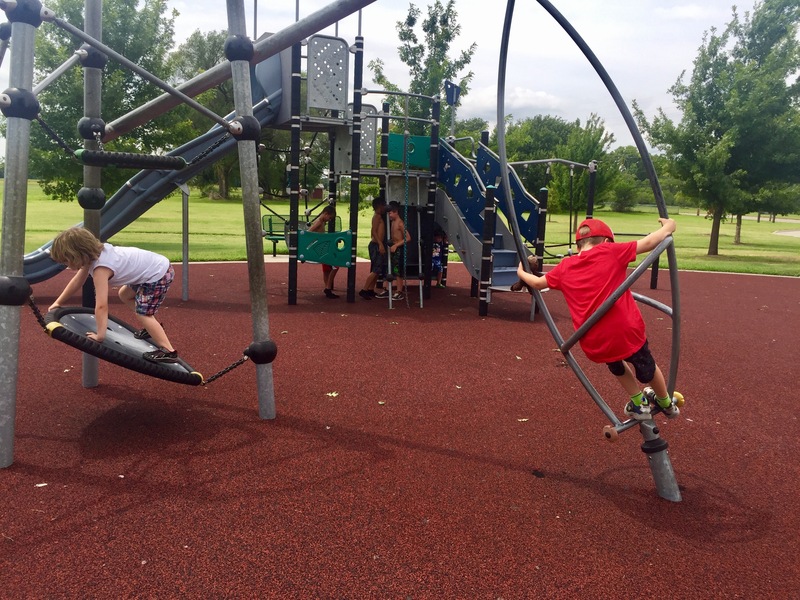 They all love this park, and are so glad it’s in their neck of the woods. I would be too! 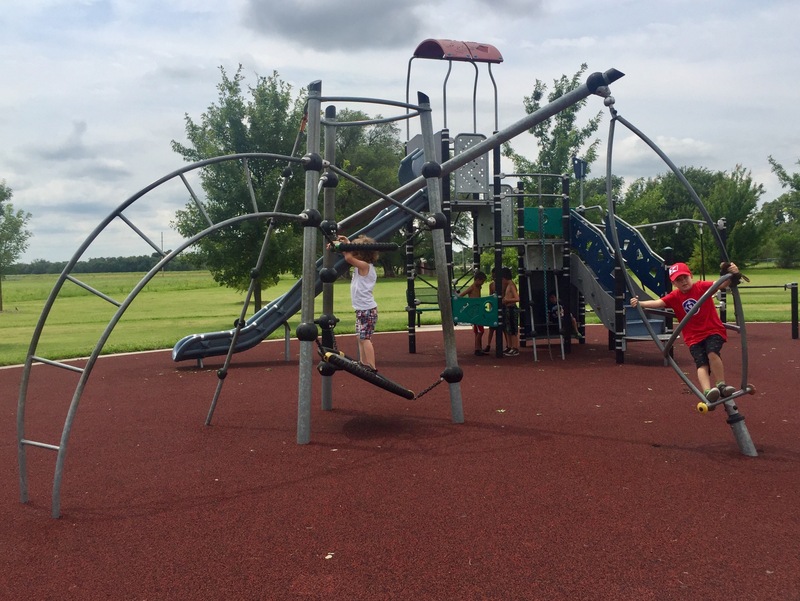 Mom Tips: if you find yourself on the south side, definitely check out this park. 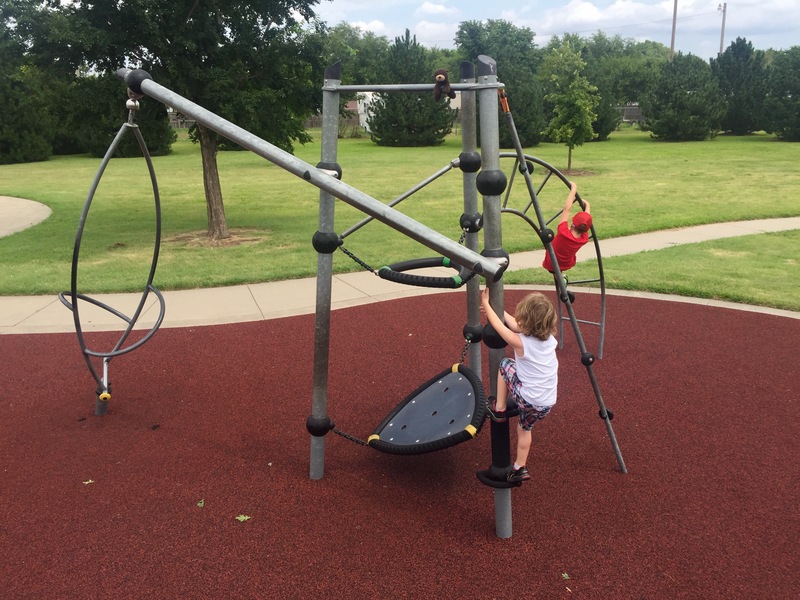 It’s in great condition and if you’ve got a climber, they’ll love it! 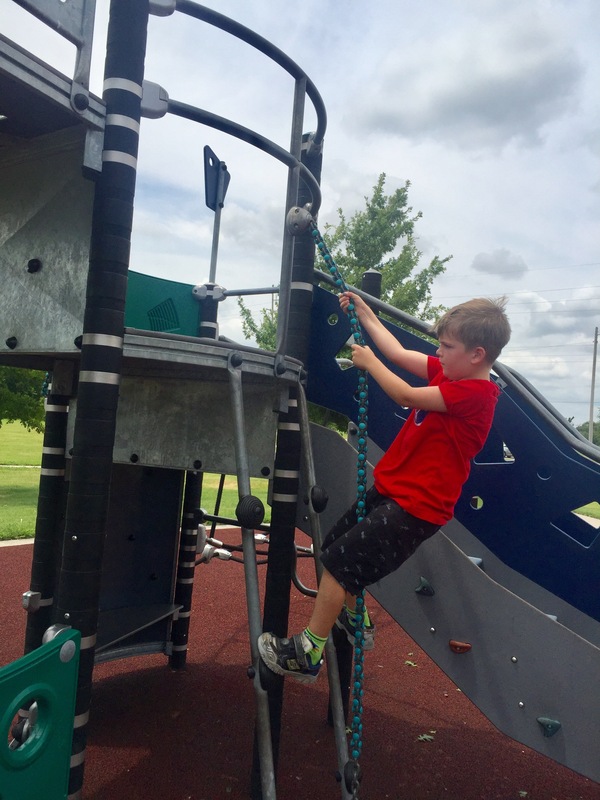 Kid Tips: Weston had a blast placing his stuffed animal “Beaverbear” into precarious situations and performing climbing rescue missions. 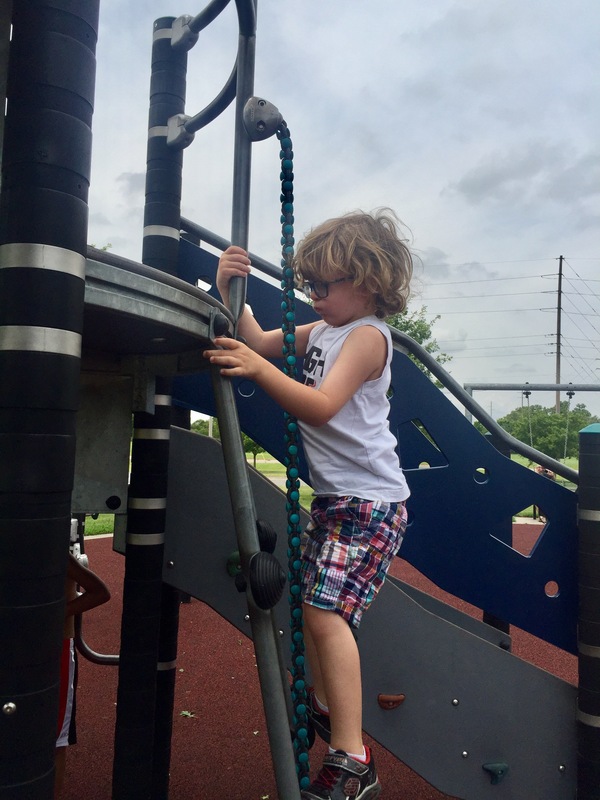 Sully was a climbing machine – he loved this park!